How Stair-Robot® provides you money? Reduces labor - Less people are needed for the same job, more declarable hours. Our specialists can help you find the best solutions. it's optional to leave your contact infromation we will try to contact you as soons as possible. the Stair-Robot® motorized Electric stairclimber trolley reduces the effort that's needed to lift or move the heavy goods by 87%. a 2 persons job can easily be done by one, work of 4 can be done by 2.
it lifts all the load, and that reduces the chances of a backfailures it prevents you of a reduced productivity. 2 people can control the weight from above during the replacing of heavy goods on the stairs, this way nobody wil be in danger. 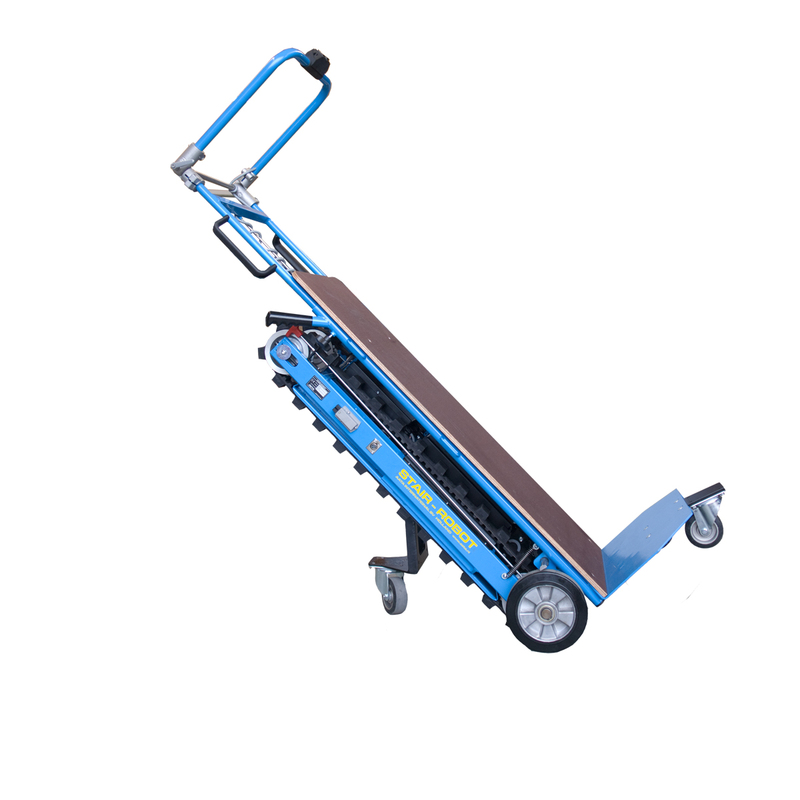 the Stair-Robot® motorized Electric stairclimber trolley is one of the most innovative products for transporting heave loads and awkward goods out here today without any doubt. 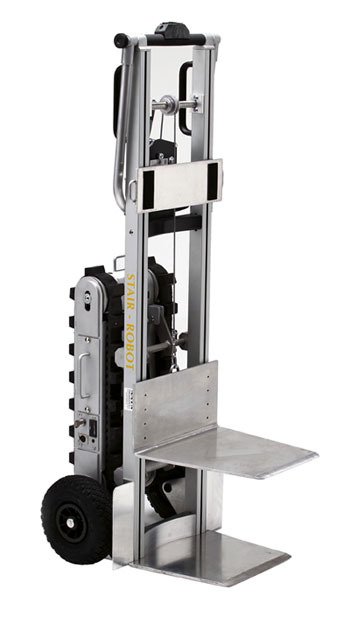 people use the Stair-Robot® motorized Electric stairclimber trolley world wide for lifting goods of max. 1000kg. 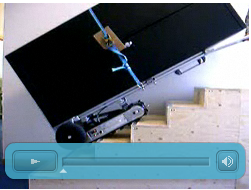 They also use Stair-Robot® for moving goods up and down on the stairs, the also use it for load and unload vechicles / cargo spaces, and for movemonts on solid grounds. This device contains a complete shielded rechargeable battery. The StairRobot® units are available in steel models for lifting of heave goods till 1000kg maximum and the aliminium models are for the lighter goods they can lift until 175kg. This versatile device is a 4 in 1 machine and it carries the weight for 100%. 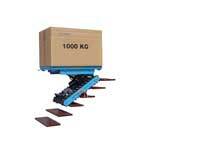 Stair-Robot® reduces the risc of damage on your goods during transport. It also reduces tje chance on damage on other possessions. The Stair-Robot® makes sure that the person who controls the devies always keeps 100% controle over the goods. Besides that Stair-Robot® reduces the wage you make because it lowers the effort by 87%. Stair-Robot® also reduces back complaints Stair-Robot® saves you money and makes you a big profit.